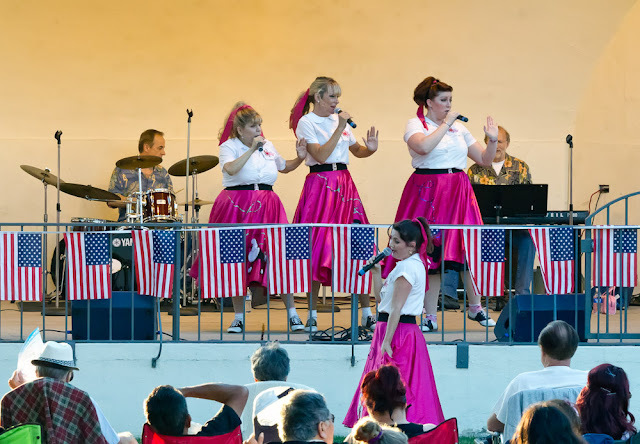 The Wonderelles, a 50's and 60's revue group, performed last evening in the 2nd of the series of summer concerts in the Library Park band shell. 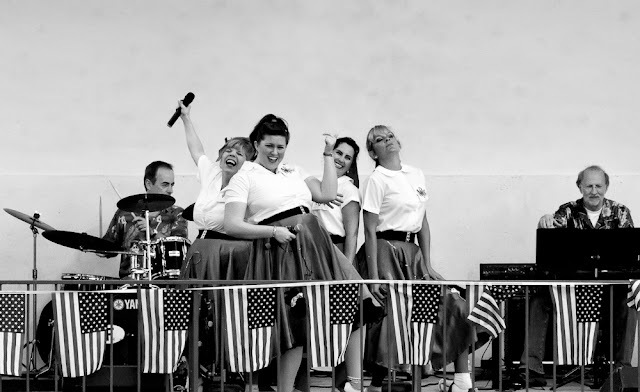 The Wonderelles in black and white. 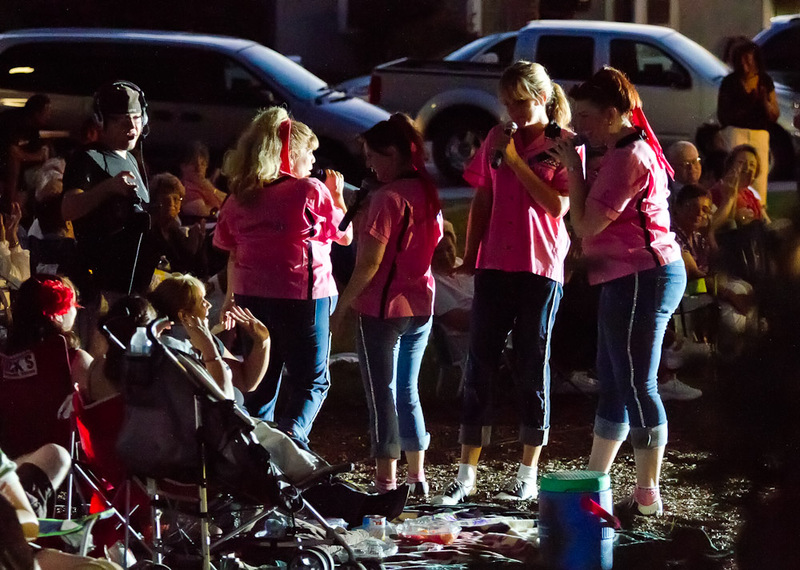 The Wonderelles venturing into the crowd for a special birthday song. The Wonderelles look like a fab fun group who really enjoy what they do, and you've captured that so well Keith. Wow! Great feeling of a happy experience! Good to experience a tad of retro! Love the B&W. It is sooo Ed Sullivan.